This branch is currently non-operational – for more information regarding Cats Protection in your area, please contact 0345 1947 292 or visit our Find us section. 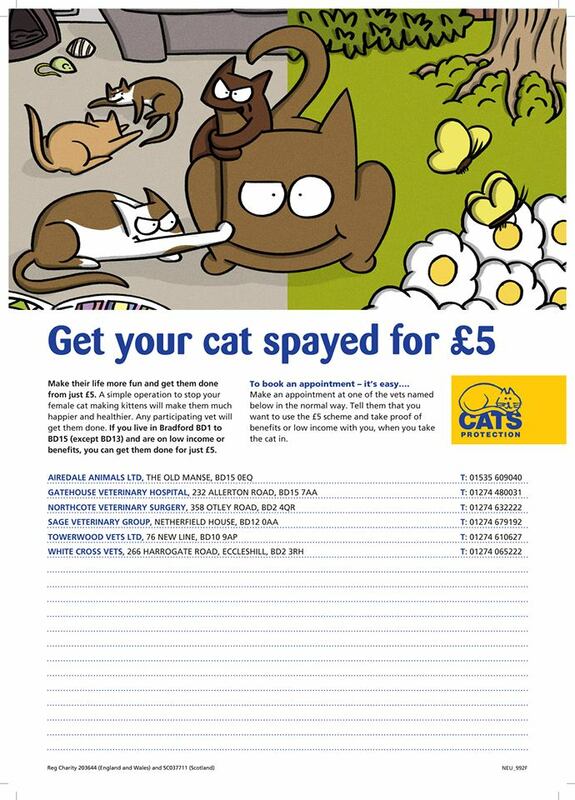 GET YOUR CATS NEUTERED OR SPAYED FOR £5. If you live in these areas of Bradford - BD1-12 ,14, 15 and are receiving benefits or on low income you can take up this amazing offer. Just ring any of the vets listed for an appointment and show proof of your benefit or low income. 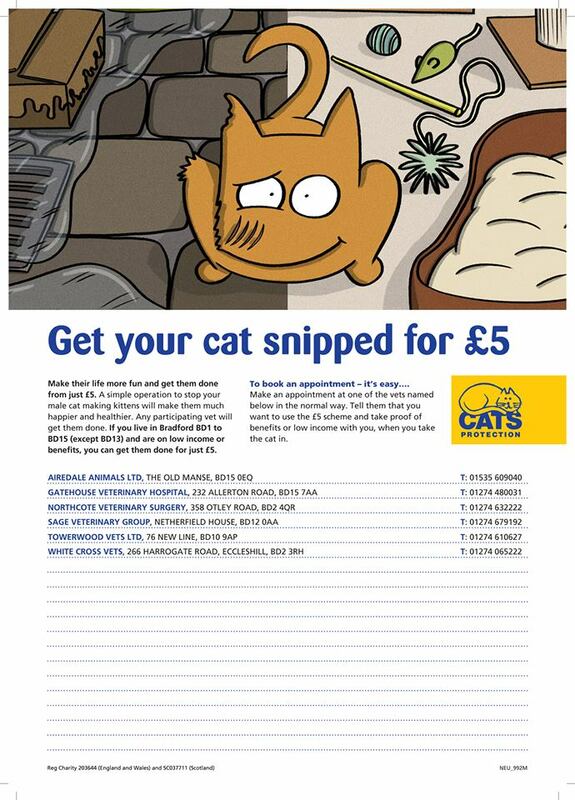 You can even get your cat microchipped for an extra £5. Training and expenses will be available for these voluntary posts. Do you love cats and would you like to be one of our valuable team. We are in need of fosterers for our Wharfe Valley Branch. The shop is light, spacious and airy and filled with exceptional quality clothes, shoes, handbags, household goods, books ,DVD'S and toys. It is accessable for wheel chairs to enable comfortable shopping. Our Manager and staff will ensure you have a enjoyable experience. All our profits go to helping cats and kittens with medical care, fostering and eventually finding new homes. 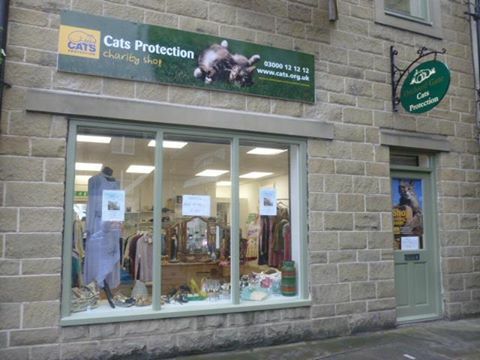 We are also there to deal with enquiries and give anyone needing help with catty problems. We are accepting donations of good quality goods. Please note that National policy does not allow us to sell furniture. Come along and browse to find yourself a bargain. New Management team and shop refurbishment. Further improvements planned early 2018. Welcoming new volunteers to work with the team. Its at the bottom of Market Street. So far you have done us proud with some wonderful donations. Some real quality items and designer clothes. Lots of bric a brac. . We do however need lots more as we expect many of the goods in the shop to be snapped up as there are some real bargains. We need your help so we can help more cats, we want our shop to make money to pay our vet and food bills, but also we want our shop to be there for information and advice and for folks to report catty problems in our area. 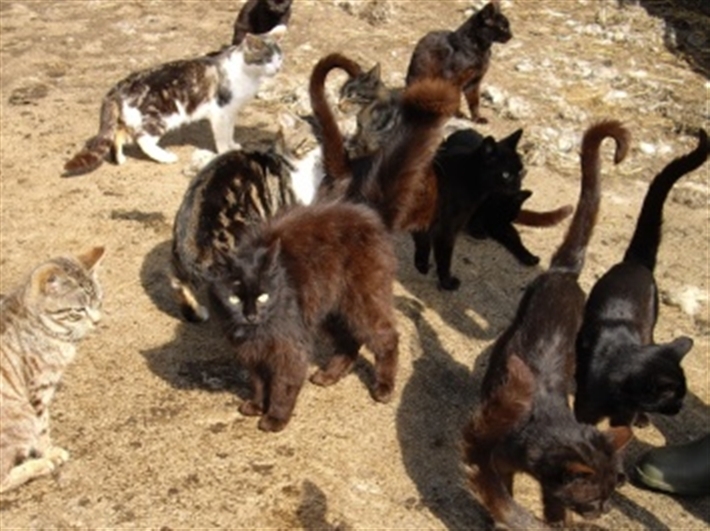 Cats Protection has launched a weekly lottery. Each entry costs £1 per week, giving you 100 chances of winning. Weekly prizes range from 95 prizes of £5, prizes of £50, £100, £150, £200 up to the jackpot of £1,000. During the year there will also be 4 super draws, giving you the chance to win an amazing £5,000! Why not buy a year's subscription as a gift for a cat-lover you know? If you sign up through our branch, we will receive funds to help us to look after the cats and kittens in our care. No previous experience is necessary, just an interest in contributing towards our vision: a world where every cat is treated with kindness and an understanding of its needs. Full training and excellent support will be given. You will gain experience in presenting to an audience, learn about cat welfare, office administration, PR and marketing plus it's great evidence of experience for you CV! All expenses will be fully paid. Owing to the amount of feral cat work that we deal with as a branch, it is not suprising that we come across some difficult or far from ideal situations. We try our very best to trap, neuter, health check, flea and worm feral cats before returning them to site, however this is not always as straight forward as it sounds. There are times when we are alerted to cats living in places that are unsafe or where they are unwelcome and at risk of persecution or starvation. Of course it is then impossible to return them. If anybody can help we need a small holding, stables, or a site with a large garden away from built up areas to relocate these cats. They will make sure that any mice/rats stay at bay! Please get in touch if you can help or spread the word, as these groups of cats will not be the only ones who will need a new outdoor home this year. Many of the feral cats are usually in a bit of a state when we are called to help. Once neutered they will blossom. Once they lose their food supply they will soon end up ina similar position again. Don't let this happen to them. Even if we had room to take in these cats it isn't what they want. They are outdoor cats and don't want to be locked up in a pen.They deserve a safe place so they can continue to enjoy life.